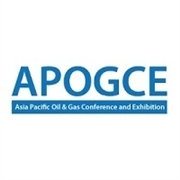 The SPE Asia Pacific Oil & Gas Conference and Exhibition - APOGCE is a trade show and exhibition for the oil and gas industry. It takes place once a year in different cities. Shown are the latest findings and developments in the production, promotion and processing of gas and oil. The goal is to meet the ever changing and increasing demands and challenges of the current time and to reach high standards for health, safety and environmental friendliness. The conference offers the opportunity to interact with renowned speakers and industry experts to gather creative ideas and best practices and to network. The exhibition and the conference will be accompanied by exciting programs like the Young Professionals Workshop, the Regional Student Paper Contest, the Education Day and the Teachers' Day.